The Best of the West meets the Best of the East! 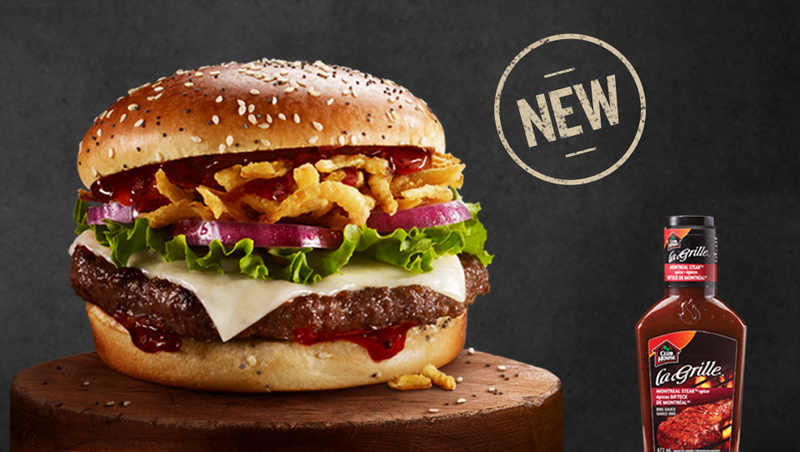 McDonald’s Canada has launched a NEW Montreal Steak Spice BBQ Angus burger! A juicy 100% Angus beef patty, topped with Montreal Steak Spice BBQ sauce, crispy onions, red onion rings, leaf lettuce and natural Mozzarella cheese, served on a toasted sesame & poppy seed bun. Available for a limited time only, at participating McDonald’s restaurants in Canada. Also, don’t forget to get your March digital mailer coupons by clicking here.